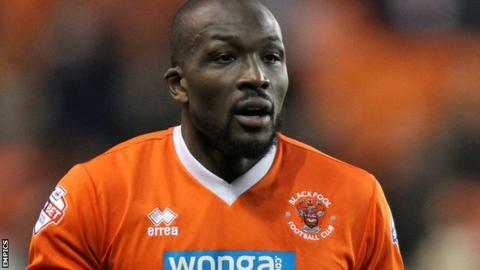 Nyron Nosworthy will remain with the Championship's bottom club Blackpool until the end of the season. The 34-year-old centre-back joined on a short-term contract in November and has featured four times so far. The former Sunderland, Gillingham and Bristol City defender is available to face former club Watford on Saturday. "I was brought here to try and improve things and I want to show that I've still got the quality," Nosworthy told the club website. "If a team picks up a win you've earned the right to keep your place, so if I get my performances right then I'm adding to the team." He has been capped 13 times by Jamaica and has scored one senior international goal.